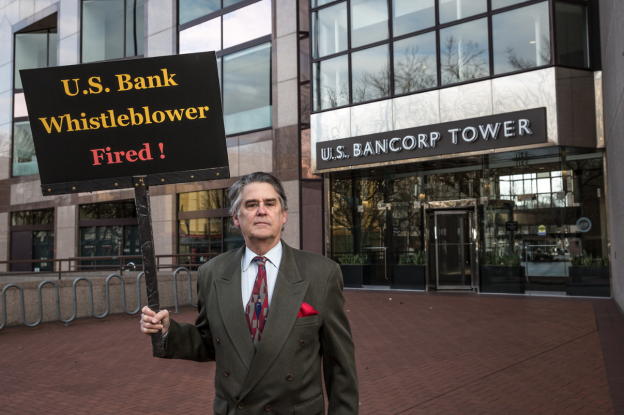 Yesterday an Oregon banker filed a complaint against US Bank for whistleblower retaliation. Read the lawsuit. The banker, Paul Rodriguez, says US Bank supervisors wrongfully fired him after he reported a credit rating scandal to the government. Oregon law protects employees from being fired for reporting illegal corporate behavior. 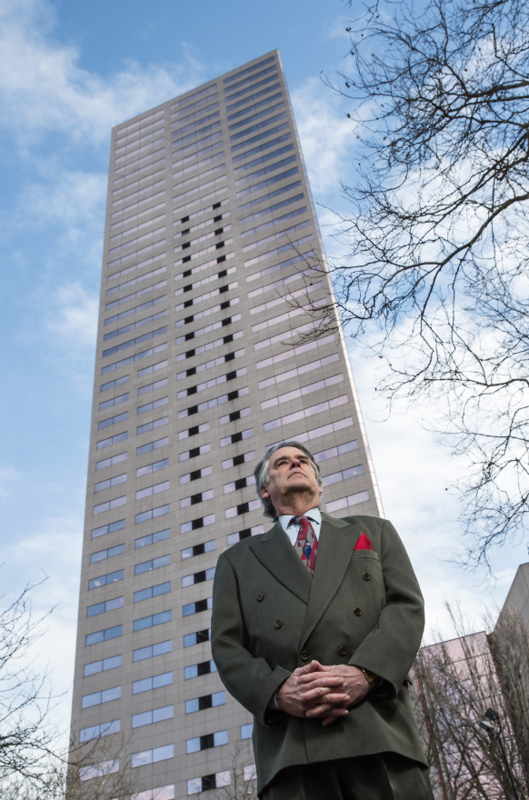 Prior to reporting US Bank to the government, Rodriguez managed a $1.2 billion banking portfolio in Portland. According to the lawsuit, Rodriguez blew the whistle against US Bank after it gave a false credit rating to a California school district. When the district later defaulted on its loan to the bank, Rodriguez refused requests to keep quiet. Rodriguez says a bank supervisor tried to intimidate him when the bank learned he had an upcoming interview with a federal investigator. Rodriguez says the supervisor claimed to be “friends” with the investigator Rodriguez was set to meet in January 2015. 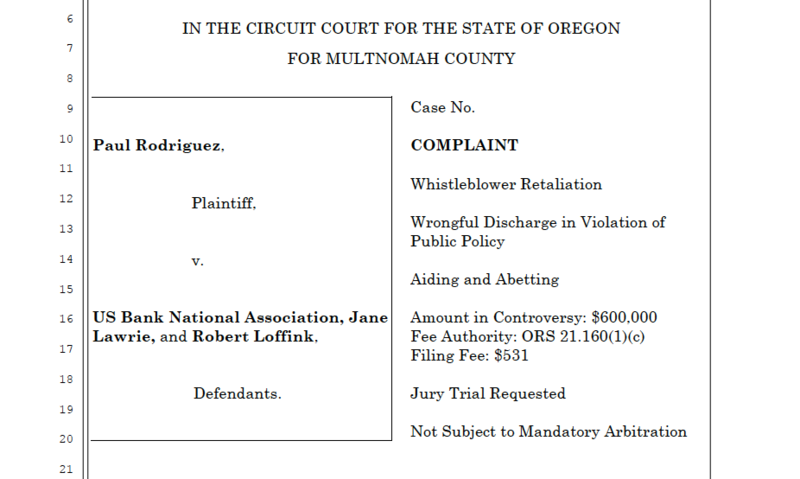 Written by Oregon Lawyer Michael Fuller. This entry was posted in Uncategorized on February 24, 2017 by Michael Fuller. Michael Fuller is a partner at Olsen Daines in Portland, Oregon and a consumer law adjunct professor at Lewis & Clark Law School.